It has been a hot minute since I've shared my makeup routine/what products I use. 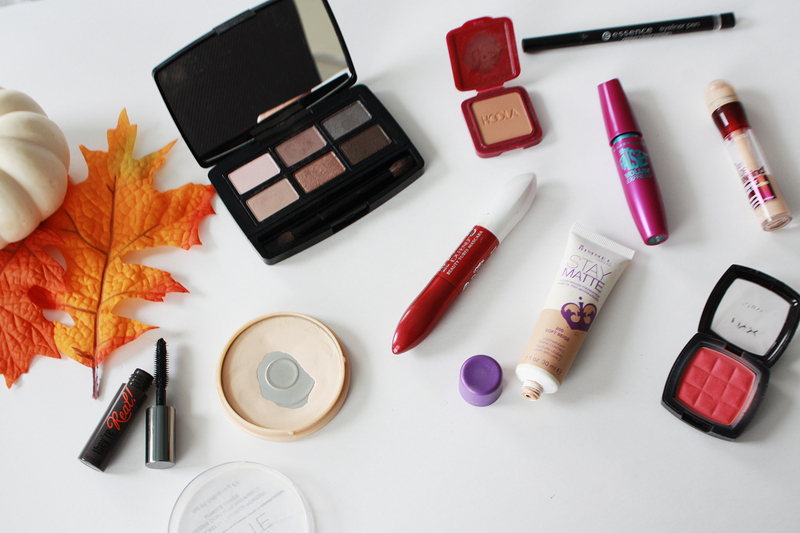 So today we're changing that and I'm updating you guys on what I've currently been using! Most of my face makeup is the same from my last post. The only thing that's new is my bronzer and I've taken out a couple of products but other than that my foundation, powder, undereye concealer and blush are all the same. I like to keep my face pretty matte since I have combination skin. I looove the Rimmel Stay Matte products and have been using them for years. They give great coverage without feeling cakey and really do stay matte. My eyes I've been doing a really simple look with my Butter London eyeshadow palette. I got this from the Ulta Beauty event at Fashion Week. It has 6 neutral shades: 3 matte and 3 shimmery and they're GORGEOUS. Super pigmented and the colors blend like a dream. I'm obsessed. I usually just swipe the first shade on the bottom row and the second shade on the top row, add some eyeliner, mascara and bam my eyes are done. I didn't include any lipsticks because they change depending on my mood or my outfit. I have a fall lipstick post coming soon where I share my favorite fall lippies! So keep your eyes out for it. So there you have it! 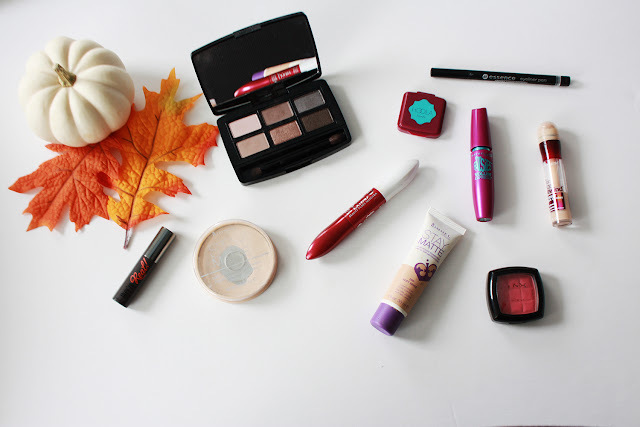 My favorite makeup products that help me getting from scary to presentable to the public. Haha! I am in the market for a new foundation, a moisturizing matte one. Do they even make a foundation like that? Leave me a comment sharing any! Or any amazing products that I need to try out! Or what products you use!